A huge month of business events across the Territory has wrapped up for another year. 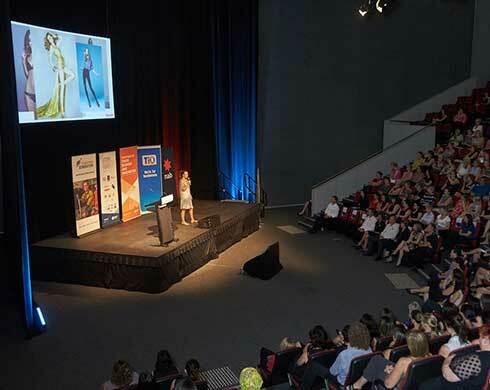 Around 320 people attended the October Business Month closing event which featured the co-founder and creative director of Mamamia Women’s Media Company, Mia Freedman. This year’s program focused on innovation, Territory business success stories, leadership, motivation, inspiration and social media marketing. For the first time, OBM this year featured ‘Innovation Week’ to equip digital leaders, entrepreneurs with the tools to create a dynamic business. Our Territory Business success stories were also popular with audiences hearing from Darlene Chin, Magdaline Coleman, Luke Myall, Justin Gill, Karinda Gill and Julie Ross. OBM would not be possible without the support of the local business community and sponsors.